Well, at least I scream for ice cream. It doesn’t feel like summer if I can’t occasionally indulge in a scoop of ice cream every once in a while. I’m so happy there are so many fantastic, healthy ice cream treats on the web. 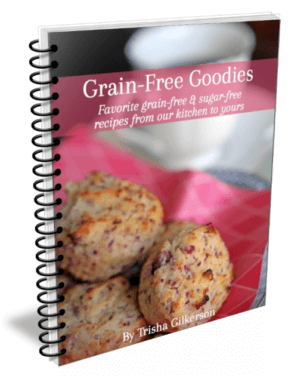 Below you’ll find gluten-free, sugar-free, and optionally dairy-free recipes that are sure to please everyone in your family. Are you longing for rich, decadent, smooth ice-cream this summer? 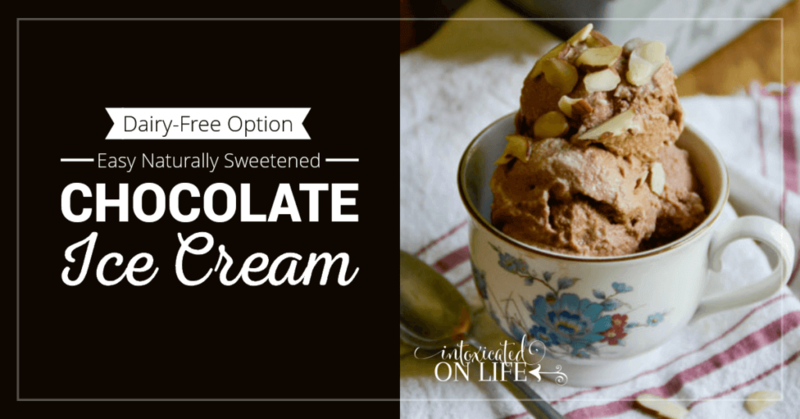 Head over to grab this easy recipe for Naturally Sweetened Chocolate Ice Cream. I don’t think you’ll be disappointed. Blueberries and ice cream—two things that remind me of childhood summers. This rich, creamy, sugar-free ice cream brings back happy memories of picking blueberries with my brother and homemade ice cream. It has all the sweet, smooth flavor I enjoyed in my ice cream then, but with none of the added sugar! 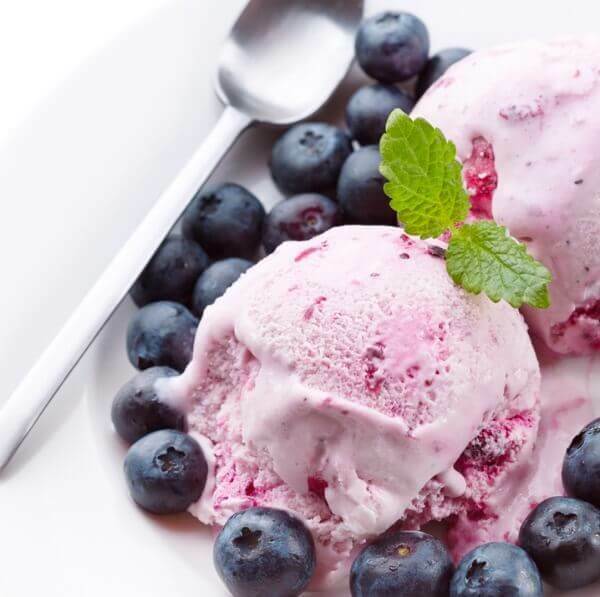 Enjoy this very blueberry ice cream. Many individuals in the US struggle with candida which means you have to stay away from sugar and many other foods that you may enjoy. 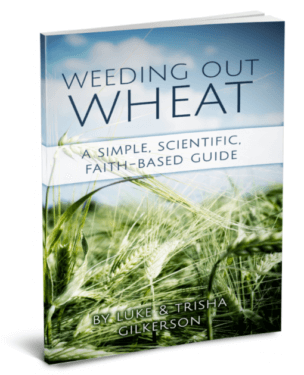 BUT, even if you don’t this recipe from Whole Intentions, is great. 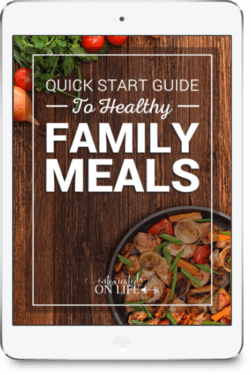 It’s also a great option for individuals following a low-carb or ketogenic diet. 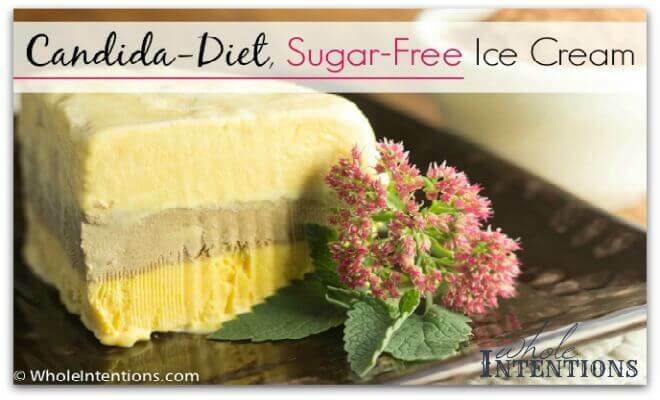 Reminiscent of those yummy orange creamsicles we at as kids, this ice cream will delight even your hard-core sugar-eating friends. 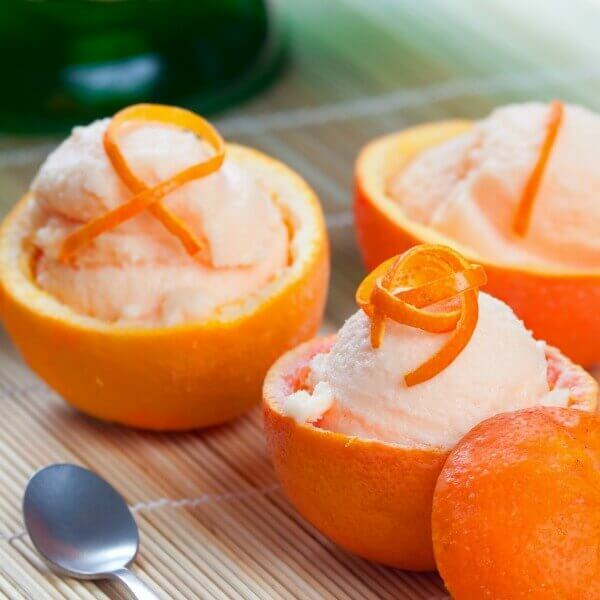 This orange creamsicle ice cream is the perfect dessert for your next cookout with friends! Dessert can’t be this easy to make? Can it? Oh yes it can. 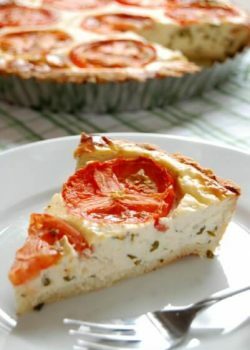 Cooking Traditional Foods shares this easy recipe that takes just a couple of ingredients. These popsicles are sweet, creamy, and super easy to throw together. They will make your kids smile when you pull them out on those hot summer afternoons. 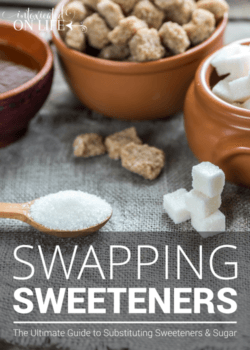 They’re naturally sweetened with strawberries and just a couple Tablespoons of honey, but you could always substitute stevia to make them even lower in sugar. 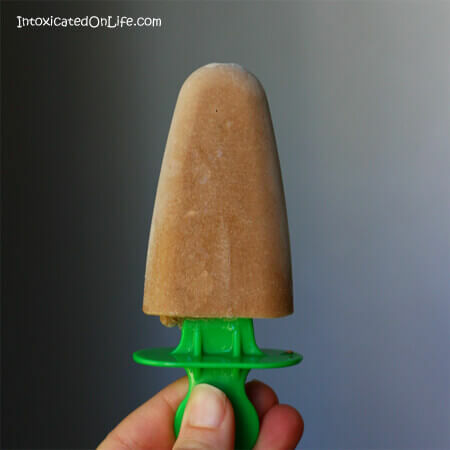 These popsicles will also give you and your kiddos a little boost of Magnesium—a mineral nearly 80% of Americans are deficient in. Ready? Go make some Strawberry Coconut Popsicles to pull out tomorrow! This classic ice cream is missing a few things: the dairy, the sugar, and the food coloring. 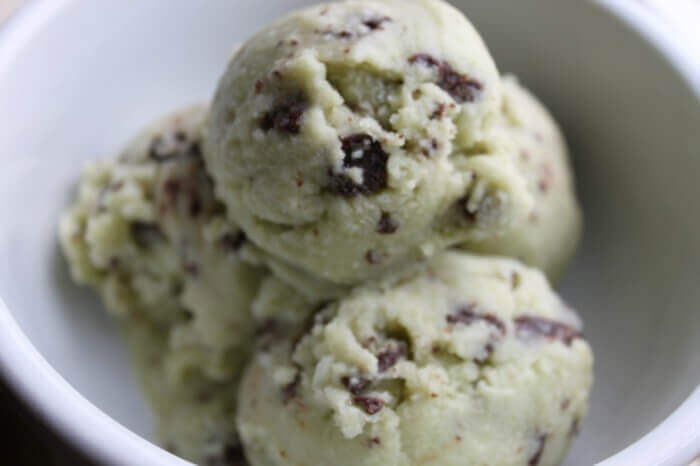 This naturally delightfully green ice cream from Whole New Mom will please those of you who enjoy the chocolate and mint combo. With just 3 ingredients, these fudgesicles are a huge win. 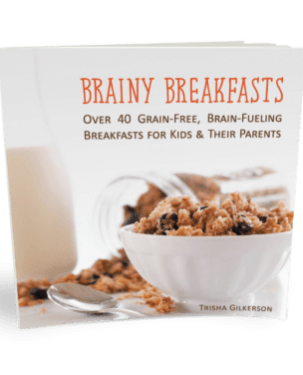 Your kids won’t even realize they’re healthy (and you’ve hidden those overripe bananas in them). They’re a perfect fudgey allergy-friendly treat for the kiddos this summer. This recipe is more of a frozen yogurt, than an ice cream. 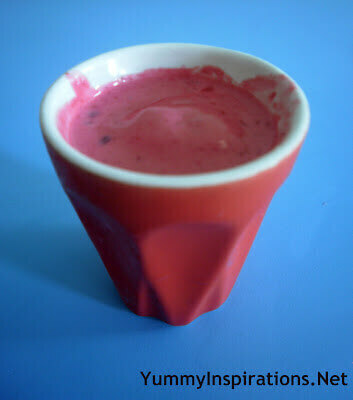 I love all berries and I imagine you could make this from Yummy Inspirations with with any berries (or mixed) and it would turn out fabulous. 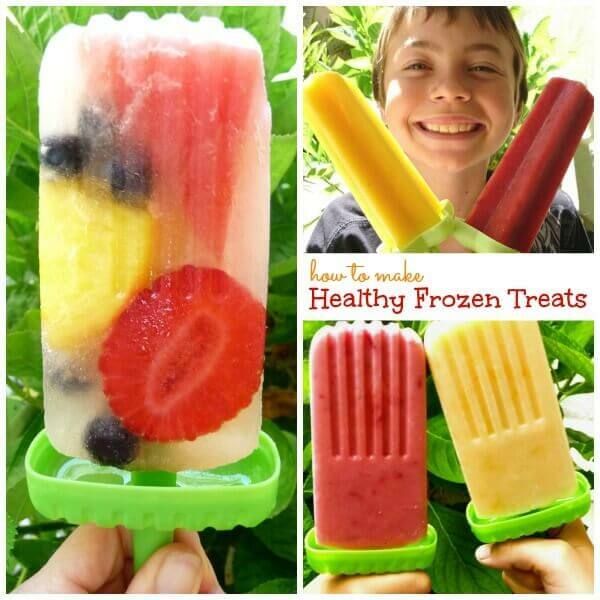 This is a delightful frozen treat that both kids and adults can enjoy. 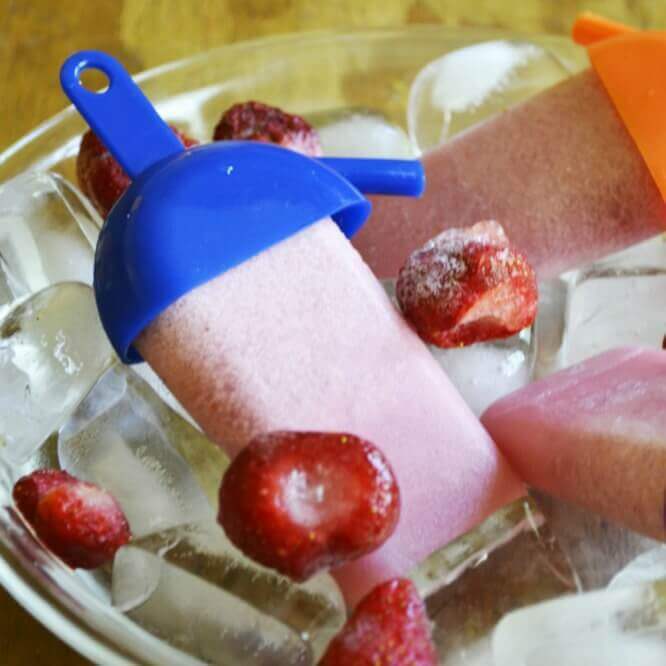 Be sure to hop over to the Nourishing Home she has a recipe for strawberry fruit pops and a post with tips for how to make other varieties of frozen fruit pops! So…how did I do with my list of Healthy Ice Cream Treats? 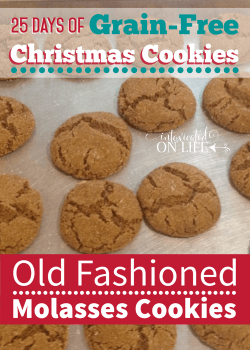 Did at least one of them sound amazing to you and your family? 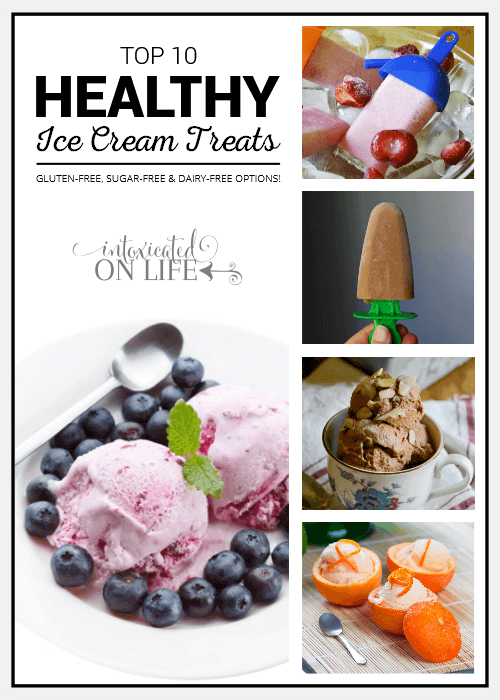 I hope you enjoy these healthy ice cream treats with less guilt and more pleasure. Feel free to tell me about your favorite Healthy Ice Cream Treats in the comments below. Sorry to hear it didn’t turn out well for you and you didn’t feel well after eating it. I made it a while back and enjoyed it. 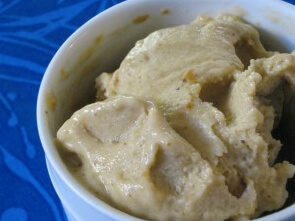 I hope you can find another healthy ice cream recipe you like better!